It’s Super Bowl Sunday! But, there is another game being played. This is the tale of two pension system strategies. There is the public system, of which we are all stakeholders. And there are private sector arrangements, with which should concern only the shareholders of those publicly traded companies. One commonality that should not be missed is that both have voting members. So, it’s time for the Super Bowl of clashing pensions. First up, California’s massive liabilities. 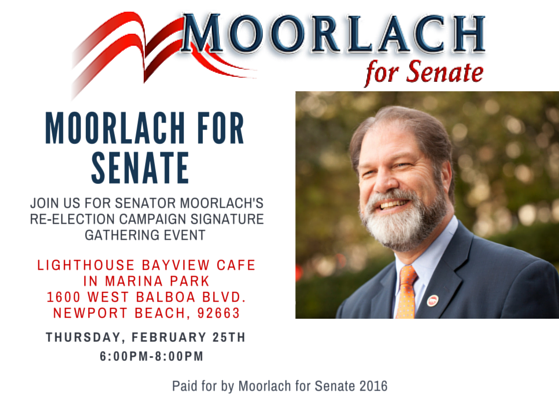 My OC Register editorial submission two weeks ago has generated a number of responses and spinoffs (see MOORLACH UPDATE — State of the Municipalities — January 24, 2016 January 24, 2016January 24, 2016 John Moorlach). One great example was this week’s piece by Teri Sforza of the OC Register (see http://www.ocregister.com/articles/billion-702850-county-year.html). The San Francisco Chronicle caught the concerns that we’ve been raising for the last year and provided a review in the first piece below. I’ve mentioned the retiree medical unfunded liability before (see MOORLACH UPDATE — $117B Unrestricted Net Deficit — January 9, 2016 January 9, 2016January 9, 2016 John Moorlach). It has since grown by another $2 billion. But, the Governor’s approach to addressing it is tepid, and exasperates the pension plan liabilities. Giving a 7 percent raise and only asking for a 0.5 to 1.0 percent contribution by employees is not enough. The Governor should have had the State pay 2 percent or more of salary and giving minimal or no raises. What’s the point about making a major play on the field that doesn’t even provide the team with a first down? How can you receive the most generous retiree medical lifetime benefits, the most generous retirement package, and expect a generous raise? The professional engineers union did as they sacked the Governor. They also escaped a downsizing demand (see MOORLACH UPDATE — Money for Nothing — September 2, 2015 September 2, 2015 John Moorlach)! Let’s hope our quarterback calls better plays with the next group of bargaining units. Next up, Yum! Brands, Inc. and it’s massive cash set asides for key executives. The OC Register‘s Teri Sforza is back with a review of funded deferred compensation plans in the private sector in the second piece below. I responded to her inquiry via e-mail and said this is a common practice and that there are remedies in the private sector. But, the remedies are not necessary for happy shareholders and employees. These remedies provide the closing thoughts of the piece. But, they may only hurt the employees and shareholders of these publicly traded corporations; not every man, woman and child in this state from the public employee defined benefit pension plans. In this pension plan Super Bowl match up, the private sector is fully funded and adaptable, and garners the win. Unfortunately, the hangover for the losers, you and me, will still be here for decades to come. Let’s hope the voters for the public sector team can draft a better fiscal quarterback for Bowl games after 2018. Speaking of match ups, Brietbart provides reactions to last evening’s GOP Presidential debate in New Hampshire. I’ve provided the link and my personal reaction. In this battle between Governors and Senators, I believe the Governors made the stronger arguments for their suitability to serve as President of the United States. Now, if only our political system allowed for making quarterback trades between states. . . Without changes, the state estimates that unfunded liability would grow to $300 billion by 2047. H.D. Palmer, spokesman for the Department of Finance, said the governor is focused this year on reining in retiree health care costs. The retirement plan is one of the most generous in the nation, covering 100 percent of retirees’ medical costs if they worked for the state for 20 years. Currently, the state pays only for the cost of providing care to retired workers, and does not put money aside for those who will retire in the future. Last year, the state successfully negotiated with the professional engineers union to have those workers contribute half of 1 percent to their retiree health benefits in 2017 and 2018 and 1 percent of their salary in 2019. The state will match those contributions. Engineers, however, will see their contributions offset by a 5 percent raise this summer and a 2 percent raise in 2017. The engineers union also agreed to increase the amount of time it takes to earn full retiree health benefits from 20 years to 25 years and decrease the coverage the state pays for from 100 percent of premiums to 80 percent. Those changes affect only new employees. Palmer said the changes along with the prefunding of retiree health will be a model as the state begins negotiations with other unions this spring. State Sen. John Moorlach, R-Costa Mesa (Orange County) said he’s skeptical that the state’s model for funding retiree health benefits is the right move. Moorlach said offering raises to employees to offset their contribution to their retiree health benefits puts more pressure on the pension system, which pays retirees based on their salaries. “As we say in accounting, it’s missing the sizzle of the deal,” said Moorlach, a certified public accountant and financial planner. Moorlach said he’s concerned with the state’s pension debt — the teachers retirement system alone faces a $72.7 billion unfunded liability. The most recent estimate in 2014 for the California Public Employees’ Retirement System shows a $43.2 billion unfunded liability. Bond debt also has risen substantially in California, with the state’s reliance on borrowing for infrastructure resulting in 1 of every 2 dollars spent on those projects going to pay interest, according to the Department of Finance. Bonds are approved by voters and generally used to pay for infrastructure, such as building schools and roads. From 1974 to 1999, California voters approved $38.4 billion of general obligation bonds. Since 2000, voters approved more than $103.2 billion. The state is paying on $86.8 billion in bond debt with another $32.3 billion expected to be issued in the coming years. In November, voters will be asked to approve a $9 billion school construction bond. The state has $77 billion in deferred maintenance needed to fix roads, highways and bridges, which Brown said is likely to require a new tax or fee. All these debts and liabilities should concern taxpayers, said Autumn Carter, executive director of California Common Sense, a Mountain View nonpartisan policy group that does fiscal and budget analysis. When the next recession hits, Carter said, the state’s payments on pensions, retiree health and bond debt will put pressure on social services and other programs. Stuffing one’s face with gorditas from Taco Bell and deep dish from Pizza Hut helps fund the Fortune 500’s most lavish CEO retirement account, according to a recent analysis that may feed fears of income inequality. David Novak, erstwhile CEO and now executive chairman of the board for fast-food parent Yum Brands, had just $1.6 million socked away in his retirement account as of 2014, according to the company’s public filings. But – thanks to tax code quirks available to top brass but not to Average Joes – he had another $232.6 million stashed in a tax-deferred compensation account, exempt from the annual contribution limits imposed on ordinary 401(k)s.
That put Novak’s total nest egg at $234 million, enough to generate a retirement check of $1.3 million per month through his golden years. Meanwhile, “hundreds of thousands of his Taco Bell, Pizza Hut, and KFC employees have no company retirement assets whatsoever,” according to the Center for Effective Government and the Institute for Policy Studies. Yum disputes the latter part of that accusation. More on that in a minute. Their study, “A Tale of Two Retirements,” examined data filed with the Securities and Exchange Commission and the U.S. Department of Labor and found that the 100 largest CEO retirement funds were worth a combined $4.9 billion – equal to the entire retirement savings of more than 116 million Americans. On average, those CEO accounts were worth more than $49.3 million, enough to generate $277,686 monthly retirement checks for each of them, the analysis found. It’s not just a case of pension envy – though there is always that. These tax-deferred nest eggs also cost the U.S. Treasury, allowing the CEOs to save some $78 million on their 2014 tax bills, the analysis found. There are three main components that help CEOs feather their retirement nests. The least important is the regular employee pension plan (offered at fewer and fewer private employers these days, for workers at any level). The second is the controversial SERP – supplemental executive retirement plan – which has come under fire from shareholders and is falling out of favor. The most important vehicle, the report said, was the “executive tax-deferred compensation plans,” similar to a 401(k). That’s where almost half of the wealth lived. While Average Joes face limits on how much pretax income can go into the 401(k) each year ($18,000 for workers under 50, $24,000 for workers over 50), CEOs and other top executives face no such limits on special deferred compensation plans set up by their companies. Nearly three-quarters of Fortune 500 firms had them for their executives. “These privileged few are free to shelter unlimited amounts of compensation in these special pots, where their money can grow, tax-free, until they retire and start spending it,” the report says. Novak’s ginormous nest egg is essentially the product of longevity, great performance and extremely good luck. PepsiCo spun off Yum in 1997, and Novak was a senior executive with both companies for a combined 29 years, including 15 as CEO of Yum, said Yum spokesman Jonathan Blum in a prepared statement. The company declined to make Novak available for comment. Novak’s deferred compensation was directly linked to company performance, and it primarily consisted of bonuses he earned and deferred into Yum stock. That stock appreciated more than 800 percent since the PepsiCo spinoff, Blum said. “He chose to defer the majority of his compensation in Yum stock as he believes in the long-term growth of the company,” Blum said. He noted that total shareholder returns for Yum were 1,100 percent while Novak was CEO, compared with the S&P 500’s 190 percent return. Based on data the company provided to the U.S. Department of Labor, 8,828 of Yum’s U.S. employees had account balances in a 401(k) plan at the end of 2014, with average balances of $70,167, the “Tale of Two Retirements” analysis found. If converted to an annuity, that would generate about $395 per month. At the global level, Yum employs 537,000 people, approximately 87 percent of them part-time, according to its filings with the Securities and Exchange Commission. It does not provide country-by-country breakdowns. This tale of two retirements is the result of good intentions. In 1993, Congress responded to outrage over CEO pay by capping the deductibility of executive pay at $1 million. That cap, however, didn’t apply to stock options and other “performance-based” pay. So companies ramped up use of deferred compensation to beef up executive comp without running afoul of pay caps. “Companies began shoveling out huge amounts of stock-based compensation, which bloated paychecks and encouraged CEOs to fixate on short-term stock prices,” the report says. Depending on the employer’s plan, execs can often defer an unlimited amount of pretax salary or bonus into these accounts. There were laws on the books prohibiting executives from receiving a better retirement contribution than the rank and file, Moorlach noted; tax attorneys simply drafted techniques to get around them. If Yum’s shareholders don’t like it, they can raise a stink and/or try to remove its board of directors, Moorlach said. If Yum workers don’t like it, they can organize boycotts – which could cost them their jobs, due to declining demand for their products – or work elsewhere. And if consumers don’t like it, they can choose to eat someplace else. “Then the CEO’s compensation will be adjusted accordingly,” Moorlach said. This Tuesday ,voters in the small state of New Hampshire, with a population roughly equivalent to that of San Diego, will head to the polls for the first in the nation primary on the heels of the Iowa caucuses. , and businessman Donald Trump. Here is a roundup of thoughts from various California politicos to whom Breitbart News reached out after the debate was over. The underlying theme was constantly repeating that current or former governors would be better than U.S. Senators at serving as the President of the United States. It was a battle between the executives and the legislators. During the past twenty-plus years, I’ve done both, running a county and a county department and now in the State Legislature. On this sole factor, I would favor someone who has or had executive experience. It turns out that those who are behind in the polls are the executives, Bush, Christie, and Kasich. And they stressed their executive successes. But it’s the senators–Rubio (who received the brunt of this argument), Cruz, Clinton, and Sanders–that were being hammered. The President of the United States is an executive position. It will be interesting to see if this debate tactic will gain traction in the New Hampshire voting booths. Jon Fleischman is the Politics Editor of Breitbart California. A longtime participant, observer and chronicler of California politics, Jon is also the publisher at jon.